I am currently living in Australia, and I was so excited to see a video about this on YouTube. I was playing and got kicked for ping to high. I don't care about the ping, I just want the limit high enough so people like me don't get kicked. Because of how ArmA2 works high ping players make the server "slow down" to match the slowest player on the server. That means that if we have people with very high ping everyone on the server will suffer. Bad netcode 500ms is already too much, I would prefer to use 250-300, but that would mean no people from Australia could play. What was yours ping? Every other aussie doesn't have problems with it AFAIK. Most Australians I know that play here, including myself, have about 400 ping when playing. The lag must have just been on your end. Max ping of 500 usually accepts people around the globe I've noticed. Maybe you could relocate to Europe to reduce it. Its unfortunate for the Australians that the server is located almost as near to the antipode of Australasia as it could be. 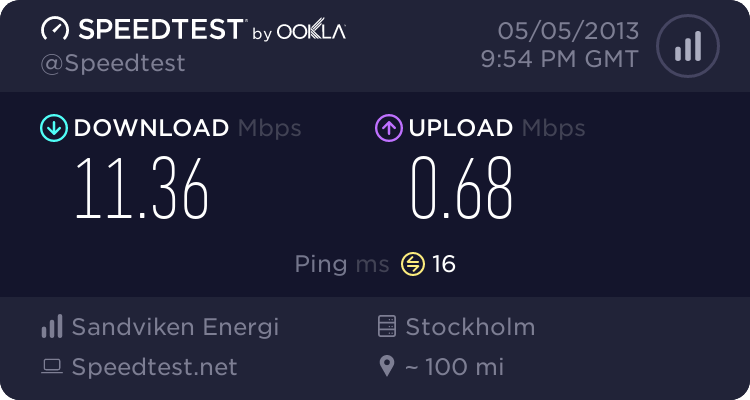 German servers are known to have good ping, but the Swedish server has better ping (for me). I live in Perth, Australia and generally get 370ms - 400ms. If you get higher that is a problem on your end I am sorry to say. 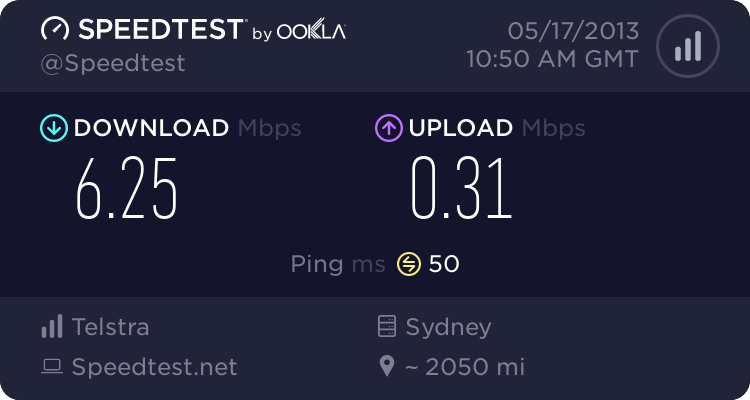 Sorry to post on a dead thread, but I live in New South Wales (Australia, of course) and the ping keeps spiking. I'm not sure if it's just me, but it appears that the second my ping spikes I get kicked. Is there a way to fix this, or is my ping going up to 500 without me noticing? Note: I get around 350-400 ping. 350-400 is about right. If you're getting kicked for high ping, its because of your ISP or lag on your end causing the spikes. I'll try when no-one in the house is on the net, as it may be that. 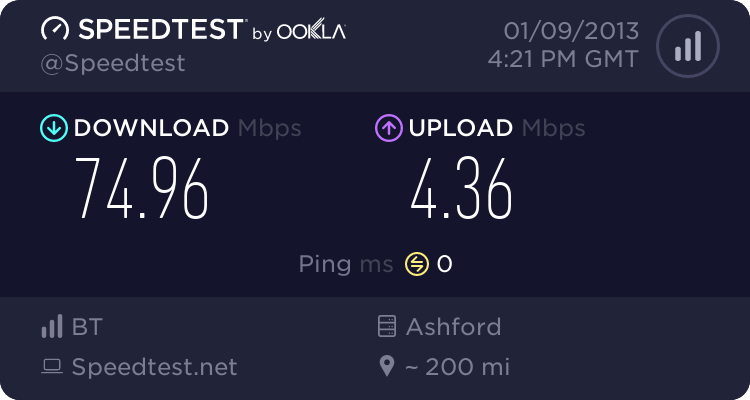 Weird thing is, we have the best internet we can possibly get for the place I live in. And I do use an Ethernet cable, just still decides to spike constantly. I play on another high ping server a fair bit, in vanilla Day-Z, and it doesn't kick me for spikes. I think the server kicks instantly for going over the ping limit, so. If a staff member could confirm this, that'd be great. 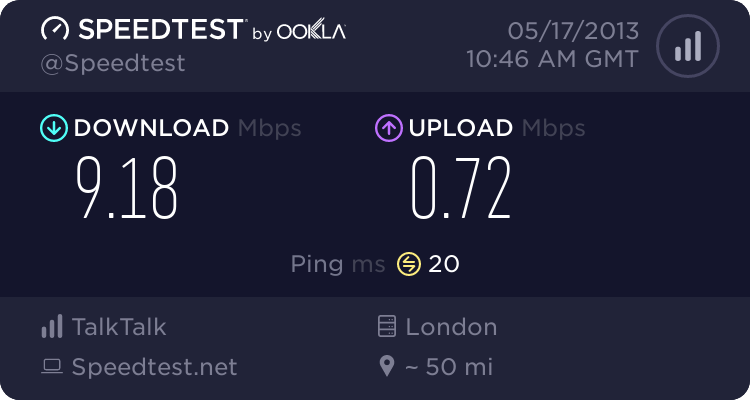 My internet isn't exactly the best. Yeah well I own my own island. Murray is King of the UK didn't you know? Anyway, is there nothing that can be done on your end to reduce the ping? As suggested the cable could help. As I said before, I am using the cord. Wireless isn't even properly set up on my modem. No idea why it decides to spike like it does. Little things like closing Steam don't seem to help much, either. Besides the obvious of turning off all background programs, do you share your connection with the rest of your house or even your neighbourhood? I know in the UK, cable broadband gets split over a neighbourhood, so during peak hours everyone gets an increase in ping. I do share it with my house, but there's no time they aren't using the net in some way. That said, a lot of the time they aren't doing anything other then talking on Steam, and it still spikes then.